The Vantec NexStar WiFi Hard Drive Dock is a complete and easy way to access all those files stored away in your hard drives. Now integrated with Wi-Fi, the NexStar provides quick access to your data through your personal Smart Phone or Tablet PC. Whether it is an iOS or Android device, you can download the NexStar WiFi App through the App Store or Google Play Store. 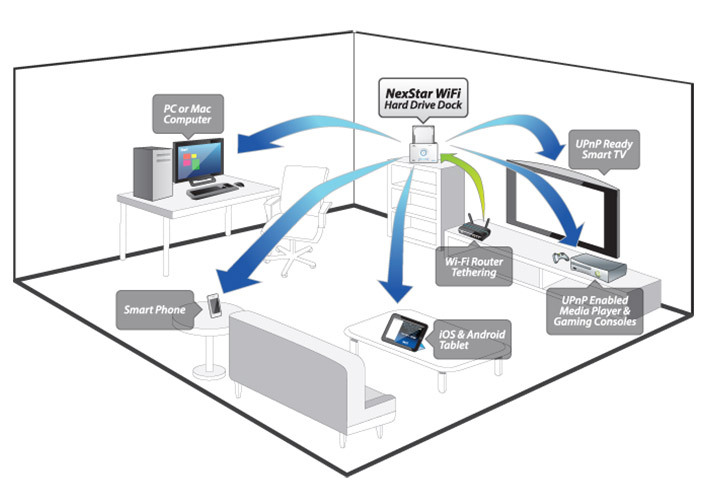 In addition, the NexStar WiFi Hard Drive Dock supports UPnP for seamless device compatibility so bringing your contents to your home theatre has never been easier. 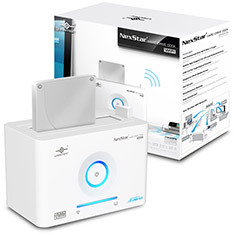 The NexStar also contains USB 3.0 for when you need fast direct access to your data from your computer making it a perfect solution to access any hard drive in seconds.